Dimensions: m. 12 x 5 x h 0,85. For the preparation of this exhibition devoted to an interior space, Dompè began a recovery operation of classical culture, filtered by the personal reinvention of the very classical column, but empty and divided in blocks which are also sectioned longitudinally. 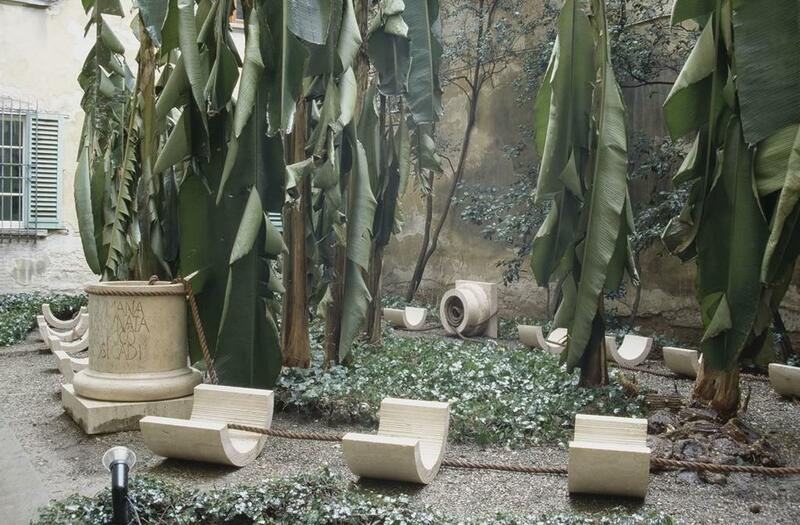 The fragments are tied by a rope and they hang in the courtyard of a Florentine palace around a banana plant which occupies the centre of a small garden and becomes in this way a part of the work. The base and the capital of the column give to the blocks on the ground a compositional order and suggest the possibility of reconstructing the architectural elements, always understood as a support. The column represents the axis of the construction, uniting the different levels and guaranteeing solidity. 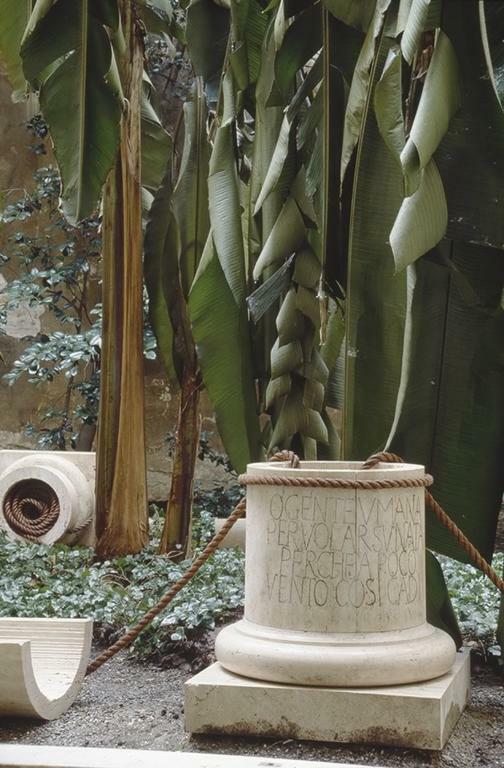 On the other side, the structure of the column suggests an ideal related to a vegetal element, symbol of life underlined in the inscription carved on the blocks of travertine. 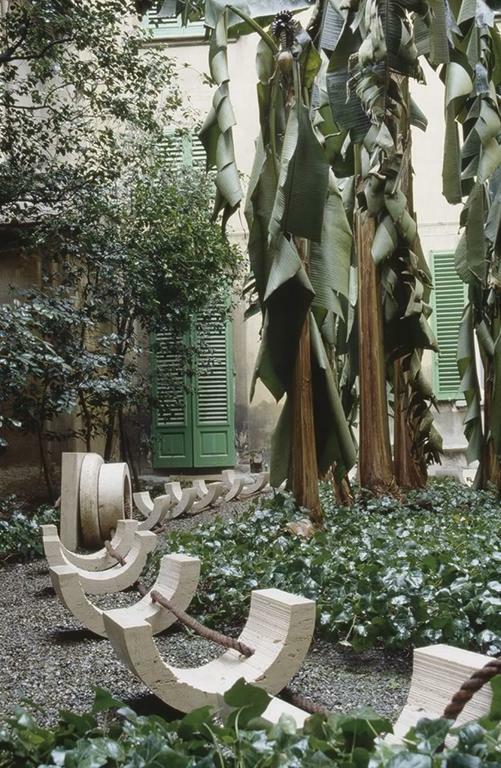 The conceptual process is, however, more subtle, since the banana tree is not a real tree, but a herbaceous plant that lacks a ligneous trunk, in which Buddha identifies the symbol of fragility and of the absurd instability of things human. 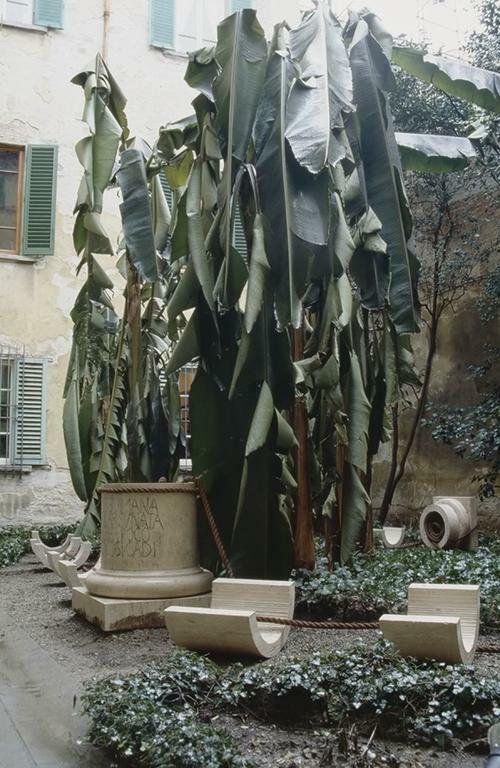 A fortuitous snow fall during the period of the exhibition revealed the deep meaning of the work, assimilating in the same snow fall the banana tree and human knowledge, because ‘mental constructions are similar to the banana tree’ (Samyutta Nikaya, 3, 142).